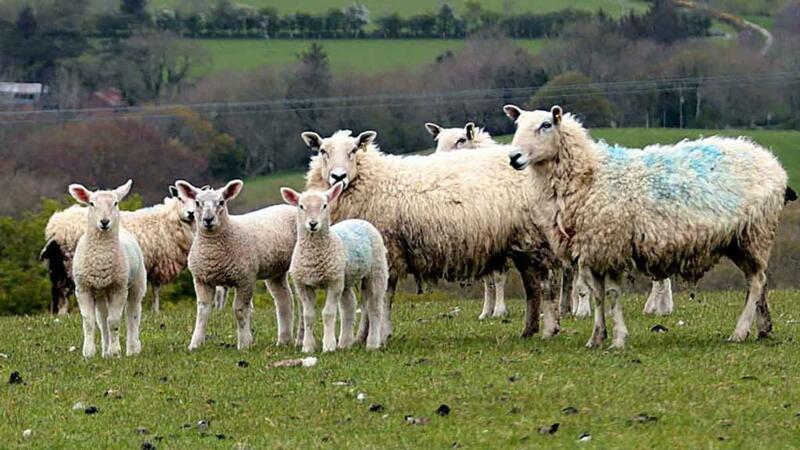 A Welsh farming couple has created a pioneering product using the meat from home-grown lamb. Kate Chapman finds out about their home-cured lamb. Diversification is sometimes the key to securing a farm’s future but for the Thomas family the move has also been motivated by a need to provide an opportunity for their youngest son, who is autistic. Bryn, 56, and Lowri Thomas, 44, keep livestock on 81 hectares (200 acres) of coastal pasture around Cardigan Bay, Aberystwyth, where they have turned their hobby for curing meat into a new business – and a unique one at that. After more than two years perfecting recipes and techniques the couple are curing and cooking meat from their livestock through their new venture under the brand name Gwella, and they claim to be the only people in Europe producing and selling wet-cured lamb. The innovative venture means they can afford for their eldest daughter Gwenllian, 24, who has been working in Gloucestershire after completing a degree in animal science at Harper Adams University, to return home. As well as helping her parents with their 500-strong herd of Welsh ewes, 20 dairy cross cattle and their new business, Gwenllian will also be on hand to help look after her youngest brother, nineyear- old Nudd. Lowri says: “We wanted our daughter to come home so we could have an extra pair of hands. “We don’t have specific roles; everyone mucks in with whatever needs doing. “It fitted in for Gwenllian to move home now and we needed the diversification financially too. We had to find something to get more money into the farm to pay Gwenllian and also give Nudd a better future, a business to grow into. Bryn and Lowri, who are also parents to maths student Anwen, 21, and apprentice carpenter Llion, 18, grew up working on family farms. Brynyrychain was bought by Lowri’s father and still belongs to her mother, although she and Bryn took over its running 12 years ago. They also have their own small farm, less than a mile away, which they bought 18 years ago and their livestock is split between the two. They have invested £20,000, building a new cattle shed so cows have shelter during the busy lambing season and they have also added a sheep shed. Due to the farm’s proximity to the coast, it sits on a strip of land between the main road and the sea, 150 metres (500ft) above sea level, rearing livestock is not without its difficulties. Lowri says: “We get quite a lot of wind and the grass does not tend to start growing until May, which makes it quite challenging. 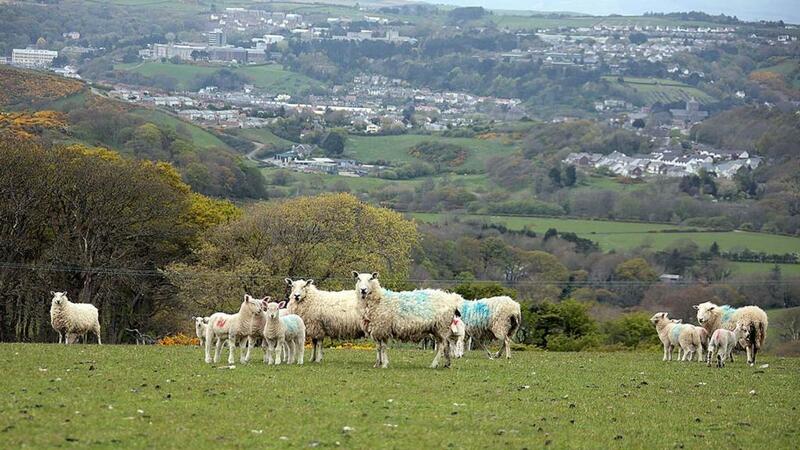 After taking over the farm the couple bought some well-established four-year-old sheep to help build their flock. They also bred mules for a while, but found they needed more food than the Welsh ewes to raise a good quality sized lamb, so they decided to stick with the latter for economic reasons. During lambing the flock is fed concentrate feed, but otherwise their diet consists of grass and home-grown silage. About 600 lambs are sent to slaughter each year when they reach their kill weight of 35-45kg. The Thomas’ originally intended to diversify by installing a wind turbine on their land but Bryn hit upon the idea of curing meat while out shopping after their planning application was refused. Bryn says: “I noticed the corned beef on UK supermarket shelves all comes from Argentina. We own a couple of sows and cure meat for ourselves, friends and family.” Lowri adds: “We have been dabbling, doing our own bacon and ham for quite a few years now. “Bryn suggested we try our own corned beef, which we did, and it was quite successful. Then he thought if we can do it with beef and pork, why can’t we do it with lamb? Although they are keeping their recipe a closely-guarded secret, Lowri says once the lamb and beef is back from a small, local slaughterhouse, where it is cut into 1.5kg joints, it is placed in a brine solution. It is then left in the farm’s cold room to cure for a number of days before it is boiled, sliced and packaged. A curing salt is also added to prevent spoilage by bacteria or fungus, while leftovers, such as offal and mince, are used to make faggots. The whole carcase is used, potentially making it a good market for small lambs. The family has experimented with different spices and flavourings and sell cured Welsh lamb with garlic and mint, Moroccan and Nepali spices, alongside Welsh mutton and Welsh beef with Mexican, Moroccan and their own blend of spices. The lamb has a three-week shelf life, while beef keeps for up to a month and each 80g pack costs £4, or £7 for two. 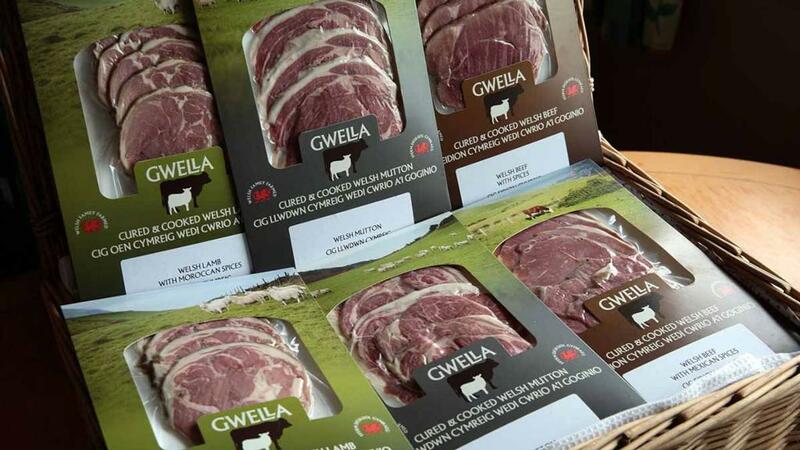 Made of the first letters of the three eldest children’s names, Gwella, which means to cure or make better in Welsh, was launched at local farmers’ markets and food fairs last year and since then the family has been working hard to get its brand known locally. Lowri says the whole process of setting up a food business has been a huge learning curve involving medical testing of their products, health and safety assessments and hazard analysis. They have also had to invest in new equipment including a slicer and vacuum packer. A local council has units to rent but they are too far away from the farm to make it logistically possible for them to switch processing from their farmhouse kitchen to an external site. Ideally they would like to have a self-contained unit on-farm for this purpose. The estimated cost of this is £32,000 and the couple are applying for a European grant to help with this next step in the development of their business. Gwella has also been working with Cywain, business mentors funded by the Welsh Government, which has introduced them to supermarket buyers and helped with another small grant to design more professional packaging, which Lowri says has already had a positive impact on sales. She says: “We have had quite a few four- and five-star hotels interested. Ideally we want to be selling it through other people, rather than directly, and the hope is in the next two to three years we will be known throughout Wales at least. She says the versatility of Gwella’s products is a big plus point as the cold cured lamb can be used in sandwiches, salads and meat platters while customers have been heating it up and eating it with Yorkshire pudding, vegetables and gravy or having a couple of slices for Sunday lunch instead of cooking a full joint. People also need a gentle nudge to give it a try. “People tend to go ‘yuk, cold lamb’, as they think of cold roast lamb, which coats your mouth with fat. The curing process changes the texture of the fat and the meat as it doesn’t get stuck to your mouth and it’s not as hard,” she adds. “It is a pioneering product with a unique selling point and we really think it has the potential to transform how people eat and perceive cold lamb. To find out more, follow Gwella on Facebook @gwellacymru or on Twitter @Gwella3.